Charlie Chaplin's family have written an open letter to ask for London's Cinema Museum to be saved. The museum, housed in the former Lambeth workhouse where Chaplin once lived, could be under threat when its lease expires next March. The letter, signed by five of Chaplin's children, says they are "distressed" at the prospect of the closure. They add that the film star's "painful experience there did much to mould our father's unique creative gift". Katherine Ford, an adviser to the museum board, said the family "are great supporters". The letter is signed by Chaplin's children Geraldine, Michael, Victoria, Annette and Jane. In it, they say their father was in and out of the Lambeth Workhouse from the age of four and as such "it is not a celebratory piece of family history". Consequently, they say they have been "heartened to see this building transformed into such a vital social and cultural centre for the locality and for London". 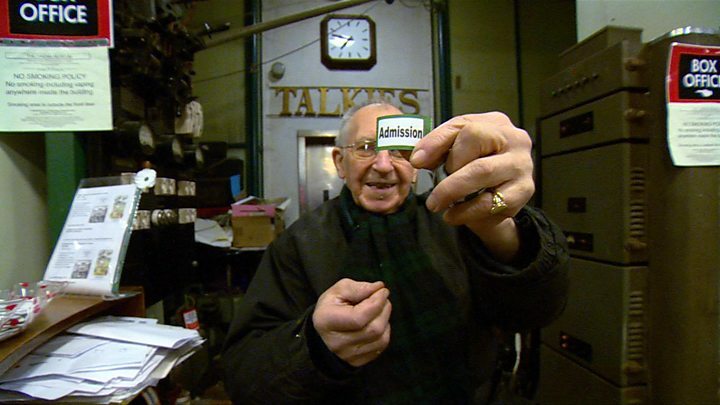 A petition has been set up to save the Cinema Museum, which has charitable status, is run by volunteers and receives no public funding. The museum houses an extensive collection of cinema artefacts and the Chaplin family describe it as "the nearest thing that Britain has to a Chaplin Museum". The petition says the owners of the building, the South London and Maudsley Hospital Trust, are planning to sell the property, "implying that we can be easily evicted". More than 19,000 people have signed the petition so far. According to the petition, the museum has put in a competitive bid for the property in collaboration with Family Mosaic, part of the Peabody Group, a large housing association providing affordable homes and care and support services. But the museum's supporters fear the bid may not be enough if the South London and Maudsley Hospital Trust sells on the open market. The Trust said in a statement: "As a public NHS body, it is our duty and aim to sell these properties so that we maximise the value for these assets. "This will enable us to invest in front line mental health services for the benefit of our service users in Lambeth and surrounding boroughs. "The Trust is favourably disposed to offers that would support the aims of the Cinema Museum and have encouraged potential buyers to bid accordingly." Chaplin was born in London in 1889 and spent around a decade in and out of the Lambeth Workhouse in Renfrew Road. According to his family's letter, the last time he was there was in 1903 when he was 14. He "had managed to take his mother there" when she was "suffering from extreme mental disorder". She was later transferred to an asylum, where she spent the rest of her life. The silent film star left his life of poverty behind when he joined a theatre company and travelled to America in 1910. He was spotted and signed up by a film company, going on to make a raft of hugely successful movies featuring characters such as his famous Little Tramp, a character inspired by his poor upbringing.